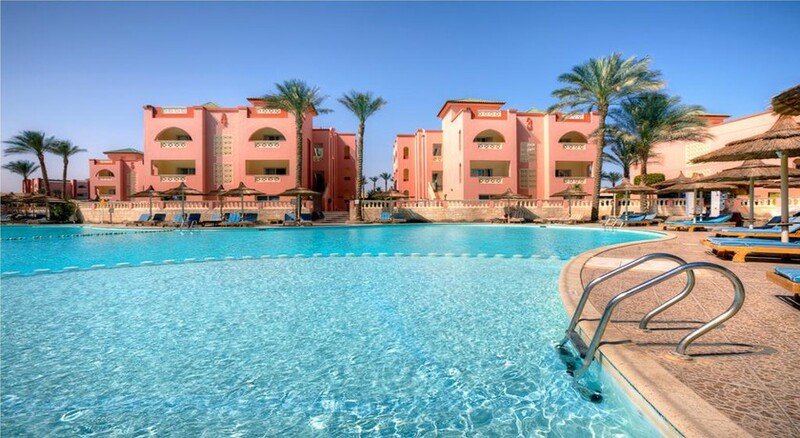 The Pickalbatros Sea World Resort is located a few steps away from the beach and in the city of Hurghada – known for its fantastic climate and crystal clear waters full of coral reefs. 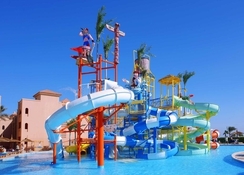 The resort has a total of four swimming pools (of which two are outdoors and heated in winter), a water park with nine slides and a multitude of leisure activities for adults and children. It has a gym equipped with cardio and body-building machines, tennis and volleyball courts, a multipurpose court, a mini golf, table tennis and a kids' club, as well as a relaxing spa with steam baths, sauna and massages. It also offers the possibility of practicing a lot of water sports (diving, swimming, surfing, etc.) and enjoying live Egyptian and international shows. 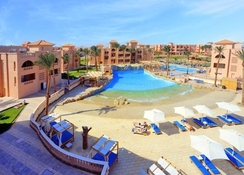 The Pickalbatros Sea World Resort is located in the touristy Egyptian city of Hurghada and is only 500m from the beach. 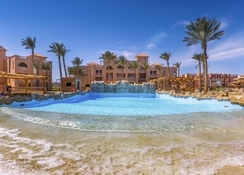 The resort is nestled near the coast of the Red Sea, which is probably the best places in the world for divers (for its coral bottoms) and for lovers of water sports. 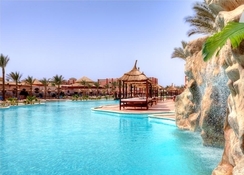 The Hurghada International Airport is 12.1km from the hotel. The 305 rooms of the Pickalbatros Sea World Resort have a balcony overlooking the pool area or the garden and are equipped with air conditioning, safe, minibar, satellite TV with movies and telephone, plus a desk. The rooms are categorised as standard room and family room and feature en-suite bathrooms with showers, a hairdryer and toiletries. The restaurants at Pickalbatros Sea World Resort offer great gastronomic variety, with Egyptian, Italian, Chinese and international specialties. Similarly, the onsite bars serve soft drinks, beer and other beverages, as well as snacks. The Pickalbatros Sea World Resort features four swimming pools, a water park and a spa with sauna, steam baths and massages. It also has a gym, tennis and volleyball courts, multipurpose court, mini golf, table tennis and children's club for children. 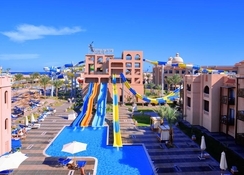 Guests can practice all kinds of water sports on the beach and recharge their batteries in the hotel's restaurants and bars, with Egyptian, Italian, Chinese and international cuisine, and a wide selection of drinks. The reception is available 24 hours with tour assistance and luggage storage. On the other hand, the complex has parking, shops, hairdressing and meeting rooms, as well as car and bicycle rental service, cleaning / laundry service and transportation to the beach and airport. The hotel offers live entertainment and Wi-Fi internet connection.